The mailman delivered a new Elzetta Charlie with AVS today, along with an extra Bravo body, and I couldn’t wait to get some beamshots of the light in action. After hearing what others had to say about the new high-output heads, I had a pretty good idea of what to expect but I was still impressed by the performance in both 2 and 3 cell configurations. This latest offering from Elzetta can be purchased as a complete light or as an upgrade for previous models of Elzetta lights. 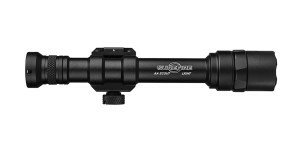 The new high-output head is rated at 650 lumens when used with the 2-cell Bravo body or 900 lumens when added to the 3-cell Charlie body, and uses a solid acrylic optic to shape the beam. (Edit 10/5/2013) – Be sure to visit the full review of the Elzetta High Output head for additional photos and information. 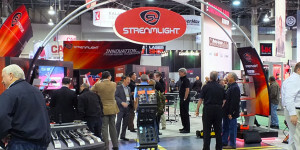 The following slides show comparisons of the new Elzetta head, in both Bravo and Charlie configurations, to a variety of other lights. The beamshots can be compared across the full width of the image using the slider, while additional images can be accessed by using the navigation buttons in the bottom-right corner. 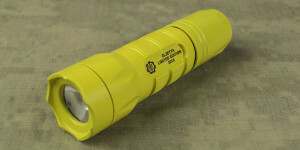 For more detailed information be sure to check out the full review of the new Elzetta High Output flashlights. 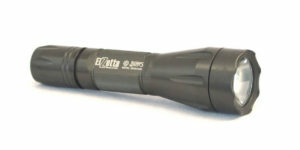 Additional information about the new high-output heads can also be found at the Elzetta website. 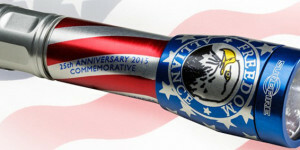 Posted in Flashlight News and tagged Elzetta.